I’m a big lover of upcycling and this has got to be the ultimate in re-purposing. 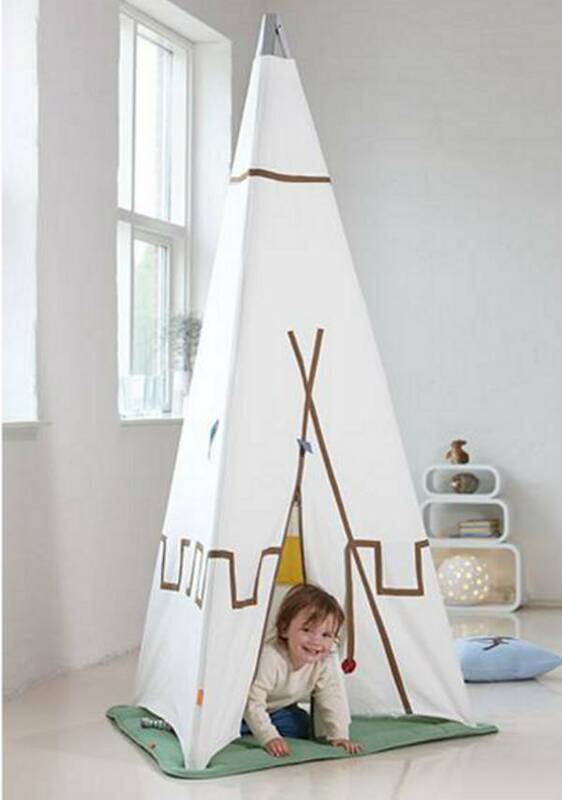 Creating a gorgeous designer teepee from a gorgeous designer cradle. My boys have a teepee and it’s been a lifesaver on rainy days. It’s also wonderful on sunny days as a little haven from the sun between sprinkler sprints on the lawn. The added bonus of a teepee is that they look so beautiful – at least this one certainly does. 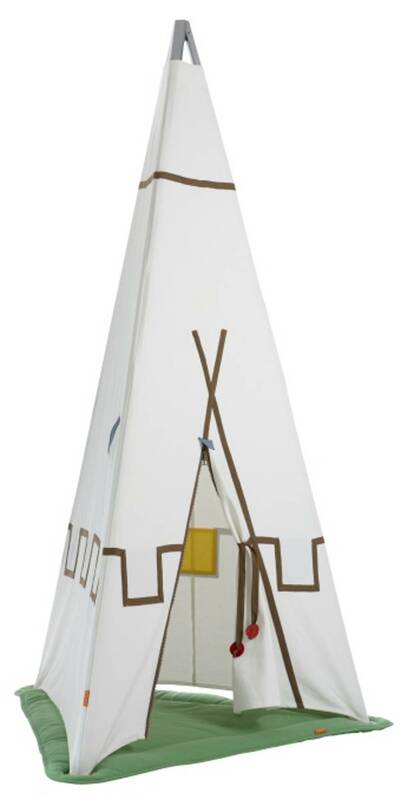 This is the new Leander Tepee, and it’s just so incredibly clever as it reuses the tripod from the Leander Cradle. It has a really stunning look about it, with its long elegant height and neutral colours. It could easily stay put in the corner of a child’s room as a reading nook, or be set up in a lounge room as a talking point. I’ve been known to spend many a rainy afternoon reading books and watching movies with the kids in our teepee – it’s a great way to reclaim your childhood! Internally the Leander Tepee has a series of colourful, pockets for all sorts of things that only children can manage to find and hoard. It also has a soft, padded floor mat and the door can be zipped shut or tied open. It’s designed for children between the ages of one and six, and is machine washable. It’s priced at $249.95 from Danish By Design. The Leander Cradle Tripod is available separately for $199.95.